Bootstrap food restaurant website template free download in 2017. An elegant template for catering website download 13000+ times. 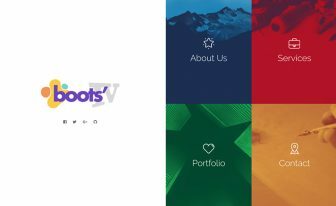 A free bootstrap template. Restaurant is the bootstrap powered food restaurant website template free download in 2017. It’s designed beautifull by Technext. 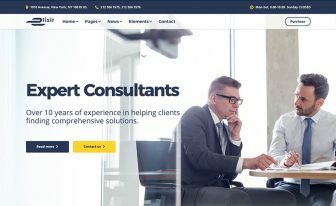 A one-page template to make an outstanding website for any catering services like food shop, restaurant, coffee shop, bakery, cafe, food cart, ethnic, fast food, casual dining, barbecue, brasserie, and Bistro and other. It is designed elegantly to meet your need while designing a restaurant website. This is a huge template to download as free. You won’t find any free restaurant website template that will match even closer regarding design, color scheme, typography, sections and overall blending of this template. This free food restaurant website template has an immaculate and professional design! With excellent jQuery effects and CSS animations. 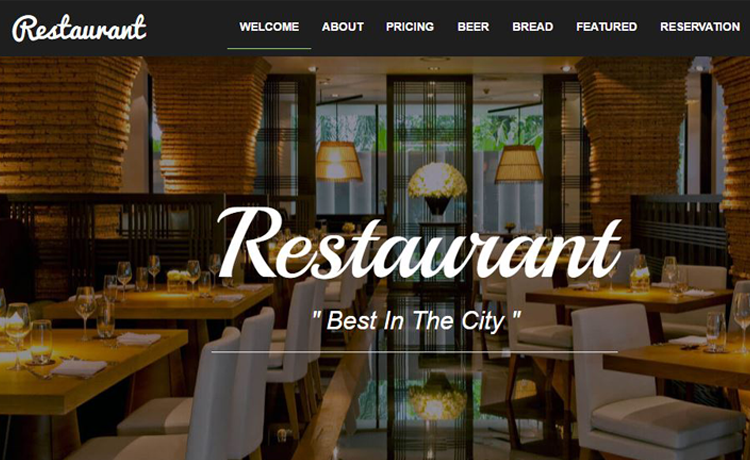 The restaurant is one of the best free restaurant cafe html5 templates so far with bootstrap! An entirely free restaurant template you can use for your personal or commercial use. This template is free for personal and commercial use, just don’t remove the ThemeWagon credit link from this free HTML5 template until you donate. 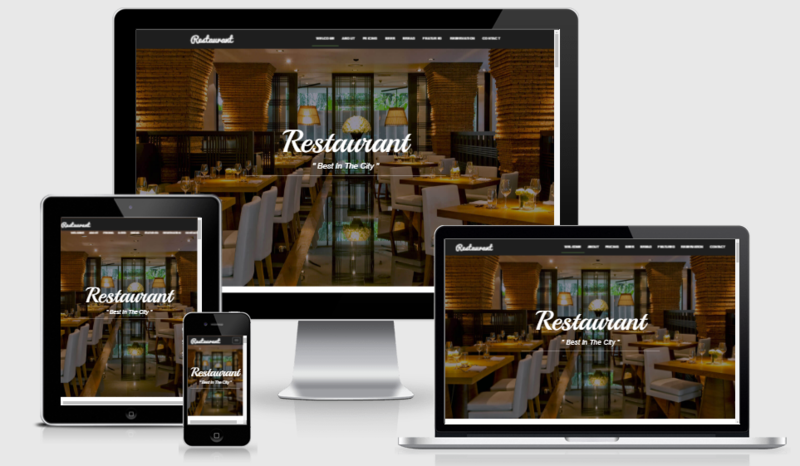 More than 13000 developers have already downloaded this free restaurant website design template. Many of them built a website easily without making any changes. 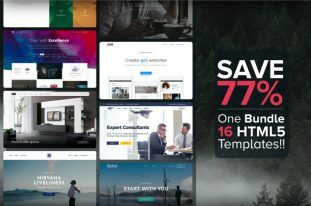 Some people kept every element, every section of this free bootstrap restaurant template as it is and adds their content. This proves that this free restaurant template is usable, easy to customize, easy to make a restaurant website with it without any coding knowledge, without making a lot of changes. This is great for any developers or any not technical personnel who loves to create a website on their own. The FREE Restaurant Cafe HTML5 Template is one of the best elegant restaurant templates so far! Ask me why? Well, it has the elements, icons, fonts which are great, you will be overwhelmed. Knowing that it’s free will surprise you. We bet you won’t find any other elegant template of this kind on the web! Using the most beautiful and clean images with parallax effects make it unique and eye catchy! If you have a great restaurant with excellent foods or have a catering business, we guarantee you that your sell will increase and your customers will be delighted browsing your elegant restaurant website! The Best Free Restaurant Cafe HTML5 Bootstrap Template on the web! Off course, there are many other free restaurant cafe html5 templates on the web, but definitely, this one is the best one. You can get it free, use it easily and the design is world class. You can’t deny it, can you? Check and see the differences between the other restaurant templates in the market and you will easily understand. One page is a new web design trend. People feel it easy to browse a one-page website. Everything is organized in the same place. Without much effort to find all the contents in the various page. Themewagon designed the free restaurant cafe html5 template in such way so that your customers find it easy and make themselves comfortable while browsing your elegant one-page responsive restaurant website! Using world’s best CSS framework Bootstrap, we have designed free restaurant cafe html5 template a responsive one. In past few years, the number of mobile visitors has rapidly increased! So if you don’t use a mobile friendly responsive website template in your restaurant or cafe or any catering business website, you will gradually loose your business. The Free Restaurant Cafe HTML5 Template is 100% responsive template and mobile ready. You can test it from google mobile friendly test! Some asked me recently, what is the alternate of WordPress. People feel insecure using it as it requires maintenance and updates all the time. People are claiming that many plugins help hackers to create back door and their website is hacked now and then. So my suggestion was, if you don’t need content management system, you don’t need to use WordPress. 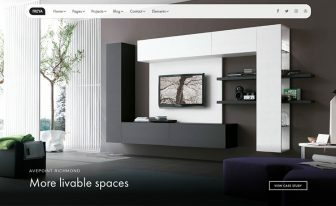 Instead, you can use plain and simple HTML5 website template. There are a lot of free HTML5 templates there. Just pick the right one for you. If you have a great coffee shop or the best restaurant in the city or a popular catering business, you may try this responsive one-page free restaurant cafe html5 template to grow your business and impress your customers! The restaurant cafe html5 template is a flexible and easily customizable template. There is well documented code – you can publish your website by adding your contents within less than an hour without having any coding skill. If you find any problems or errors, don’t hesitate to contact us for support. We are ready to help. If you like this Free Restaurant Cafe HTML5 Template useful, please don’t forget to buy us a coffee! There are lot of free responsive html5 website templates and responsive bootstrap themes in Themewagon. 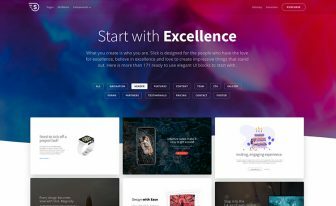 You can browse all of our Free HTML5 Website Templates | Responsive Bootstrap Themes here. nice design, how can i buy the license? thanks for the information given. Please comment in English. Thanks. Seriously? Are you trying to install it on the WordPress? It’s an HTML template so use it this way. do you hv any suggestion?? You’re trying to install it on the WordPress but it’s an HTML template. Try yourself. It’s an HTML template and I’m not sure what you can do on the backend. Hi, please try with another email or update your browser. Hi i have downloaded the free version of this template. My problem is that in the prices section the sorting of the dishes is very slow and only malfunctioning. In addition, it jumps back to the sorting Alke in every scrolling movement, which is a pity especially for mobile devices. Is there a solution? I would like to buy it, however, it should work first. Thanks for the reply. The pro version has no problem of that kind. And if you ever face any trouble, you can always create a support ticket and get what you wanted. Thanks. Hi, i have visited the site and found that this is a good template for making food related web sites. hi , just downloaded the free version . its an awesome theme , just wondering can i remove “© Restaurant 2014, Theme by ThemeWagon” ? and give attribution to themeWagon somewhere in the code ? Thanks for downloading from ThemeWagon. As per our policy, a footer credit link is required when you use a free template. I have dowload this template for free, I need the PHP file for my contact form. I want to purchase the premium version the last one with fixed bugs and working contact form. Can you help me. Thanks in advance! I have purchased this template and have found it very good. However, I have 2 small issues. 1 – The “Contact” form – It has no placeholders in Firefox (39). Chrome is fine though, as is Android Chrome. 2 – Can you provide any information on getting a FaceBook and Instagram icon in the social section? Aside from that, great template! Thanks for purchasing this template. Would you please submit a support ticket to get support from our support team? I think, that’s the best way to solve your problem about any template. i saw it as free template, but it is showing a 11$ bill to buy it ? is this a free download or i need to pay ? You will get a pop-up. Once you share or click the link below share buttons, an email is sent to you. I paid for the premium version, but I’m not receiving any email for downloading. Suggestions? the facebook link does not work either. Once you share on twitter or facebook then the template will be emailed to you. Hi, I have purchased your Restaurant template, but I do not see the download link. May I know where is this? Hello @disqus_9RE8txqiY6:disqus, Would you please submit a support ticket. “Tweet to Download” is not active and i can’t find ay download button anywhere included at the down right corner of the screenshot image. Plz help !! I have emailed you the download link. Please let me know if you get that. Hello mjewel, Thank you a lot for your quick reply. It was a mistake in my email adress on my Disqus account. I done the correction and it is ok.
Could you try to send the link again on the new email adress? I really love Photographer template too – https://themewagon.com/themes/photographer-best-free-responsive-photography-html5-template/ – and i have the same problem. There isn’t any way to download it, if you have a link for this one too, it will be great.Thanks in advance. Can You add me in your skype? My skype id: cep.jewel so I can show you how to download the themes. Thanks a lor for your help. I received your 2 mails. It is perfect. Looking forward to get some feedback from you about our theme. This template is absolutely gorgeous! Thank you so much! Sir i need this template for my college project purpose how can i download this .. Please help me. Thanks for your interest in this free restaurant website html5 template. You will find the download option at the top of this page just at the down right corner of the screenshot image. Is there any other way to download? I have no interest in joining Twitter. We are glad that you have liked it. Thank you for downloading our free responsive HTML5 templates from ThemeWagon.